Sarah Nader - snader@shawmedia.com Dr. Gilbert Egekeze opened up Oaklund Medical Group in Crystal Lake in December to help serve patients living in the north end of the county. 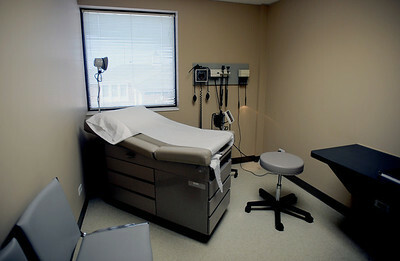 Sarah Nader - snader@shawmedia.com Dr. Gilbert Egekeze opened up an internal medicine practice in Crystal Lake in December to help serve patients living in the north end of the county. 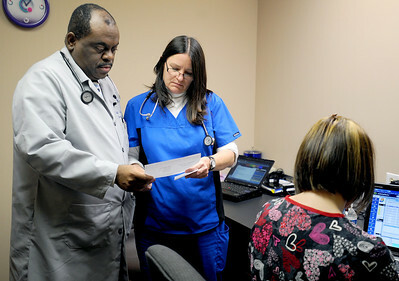 Sarah Nader - snader@shawmedia.com Dr. Gilbert Egekeze (left) talks with Diane Nobel while at his practice in Crystal Lake on Thursday, January 5, 2012. Egekeze practices internal medicine and opened up Oakland Medical Group in December to help serve patients living in the north end of the county. 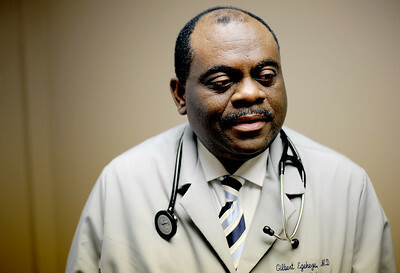 Dr. Gilbert Egekeze opened up an internal medicine practice in Crystal Lake in December to help serve patients living in the north end of the county.